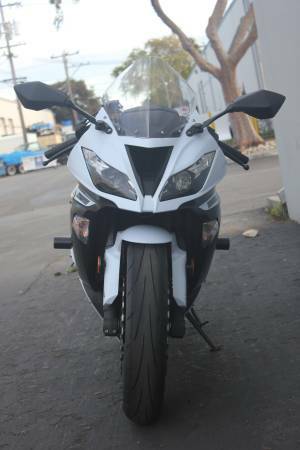 great condition bike with traction control and power modes feature! We finance all credit levels! Apply online for financing. 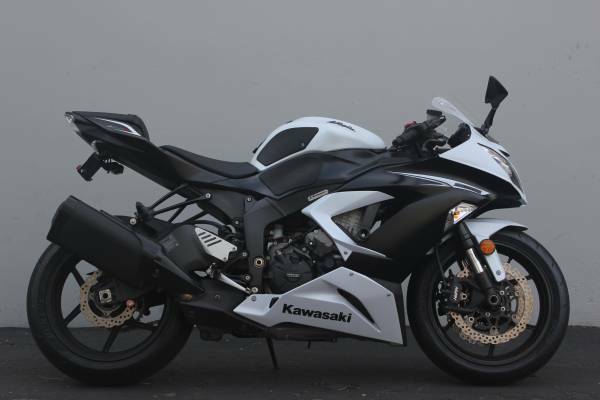 Kawasaki’s evolution of the ZX6R has resulted in one of the most dominant motorcycles in the 600cc sport bike class. 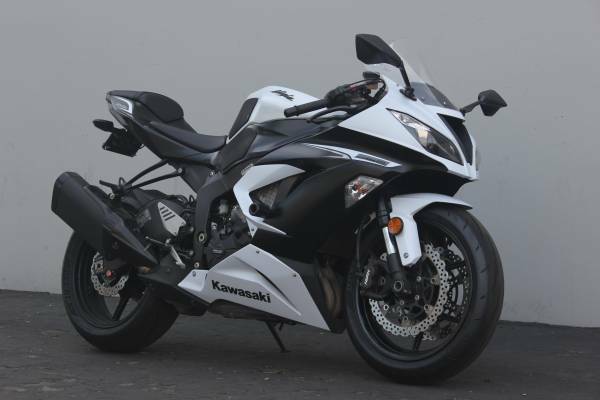 Kawasaki is known for producing some of the strongest engines in the industry, and they haven’t let up with the ZX6R. 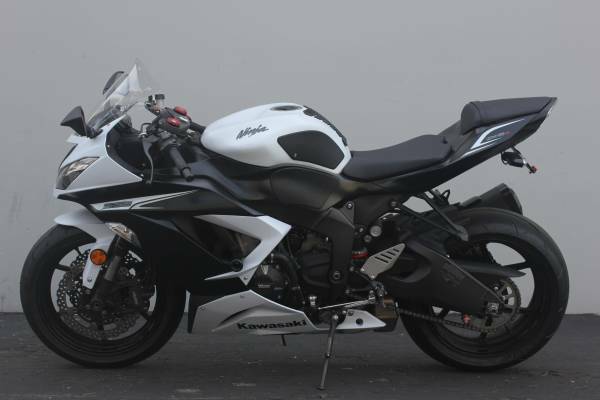 The liquid-cooled inline four engine produces over 107 horsepower that is smoothly accessible through a wide powerband. The newly trim chassis has dropped over 20lbs and promotes a very compact riding position that track riders will appreciate. Track enthusiasts will also enjoy the newly redesigned digital display with large readouts for RPM, gear indicator, and speed. Kawasaki has also put a lot of attention towards handling by tapping into their MotoGP expertise. The ZX6R now features the addition of Showa big piston suspension which provides great stability under late braking. 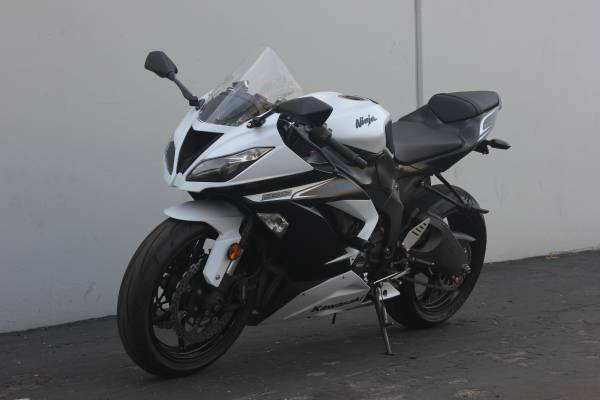 The combination of a compact chassis, adjustable suspension, and strong engine make it one of the top choices in the 600cc sport class. Brakes: Dual 310mm front petal disc with four-piston caliper and ABS, 220mm rear petal disc with single-piston caliper and ABS.